10 inches tall and 10 inches wide when fully extended. Paper fan with white plastic handle. 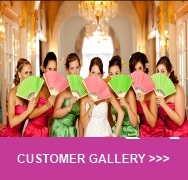 A must have Hawaiian accessory for tropical theme events, corporate parties, weddings, and more.